Surprisingly enough, this was the very first time I have ever made Beets myself- and I was not disappointed! I had absolutely no knowledge on how to cook beets! So, if you are wondering “Why Beets?”, let me tell you. I tried Beets for my first time, without even knowing it, at this amazing restaurant here in Ivins, Utah, called Aragosta’s Restaurant. IT. WAS. INCREDIBLE. Let me tell you- Chef Imi Kun’s food was spectacular. I have never tasted better food in my life! 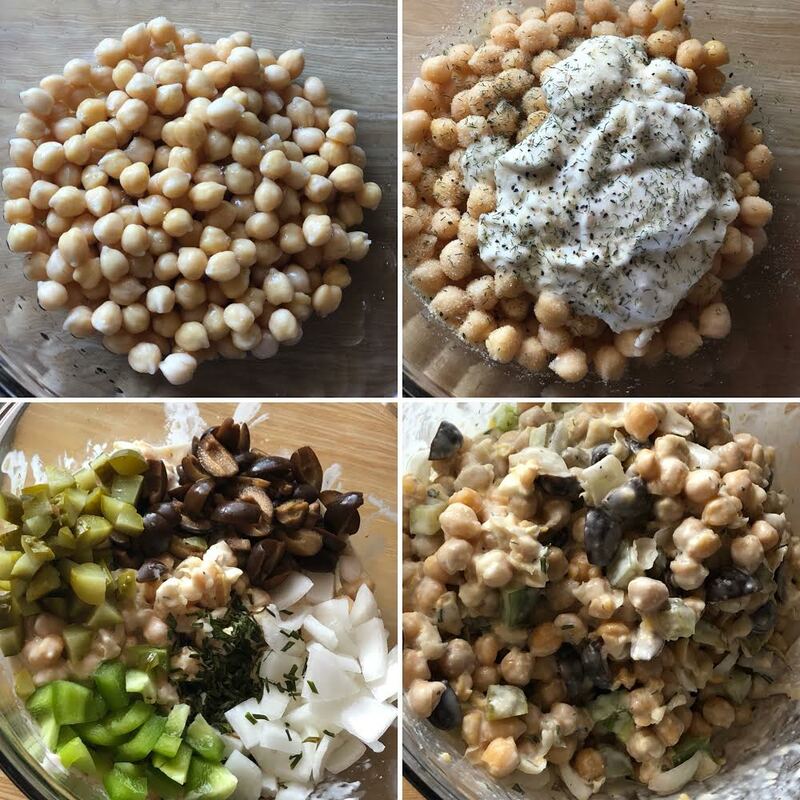 He whipped me up- from scratch I might add- a vegan sampler plate. This included his Beets and Potatoes! 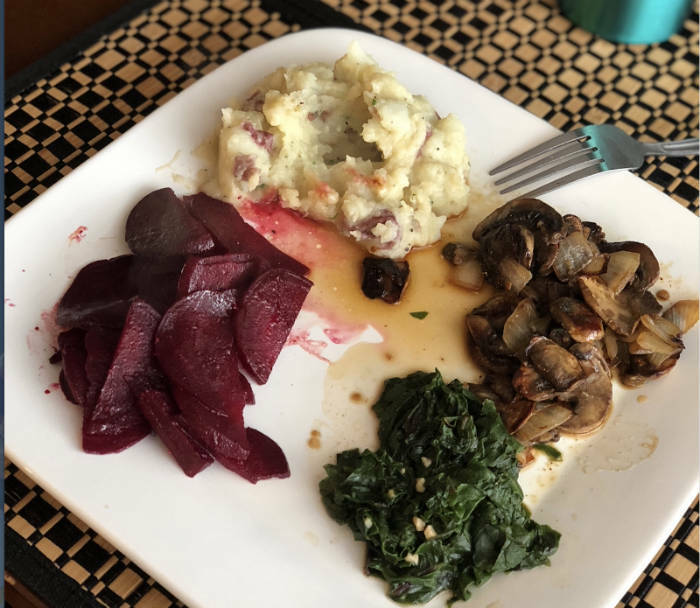 I went back several times (still do), and was so obsessed with his Beets and Potatoes, I decided to take a whack at it myself. Beets get a pretty bad rep outside of the vegan community- hence why I always thought they were gross until I actually tasted them. However, now that I have tried them, I think they are incredible! I imagine most people knock on Beets simply by the way they look- and sound (like… what’s a beet?). Yeah, it’s not a very appealing name or appearance. However, Beets are said to have some awesome health benefits. Besides the fact that it’s a low calorie food packed with nutrients, it also has the ability to lower blood pressure, improve digestive health, have anti-cancer properties, and so much more! Enough talking- Let’s dive right in! Get 2 medium saucepans of boiling water ready, with a sprinkle of salt in each. Wash and scrub your Potatoes and Beets well. Cut the potatoes into fourths. Cut the root stems off the Beets as close as possible to the Beet bulb- keep the Beet greens (we’ll need those!). Add Beets whole, to one pot, and the cut potatoes into the other. Let boil for about 30 minutes. While the Beets & Potatoes are boiling, we’ll prepare the Beet Greens. Cut the Beet greens from the middle “midrib”. Wash and strain greens in warm water. Slice the greens as you would cut lettuce for a fresh salad! In medium frying pan, at high heat- , add 1/2 cup of water. Add a splash of Liquid Aminos, Garlic- fresh and powdered- and onion powder. Bring to boil. Add Beet greens. Lower to a simmer. Cook these for about 20 minutes until cooked thoroughly. Remove Beets and Potatoes from heat. Drain. (it is normal for the Beet water will be discolored). Mash potatoes in saucepan- Add the Milk, Butter, Garlic, Herbs & Seasonings. Stir until creamy- add more or less seasonings to taste. Peel away the Beet skin. I like to run them under cold water while i do this- the skin just rubs off. Slice bulbs in half. Then make thin slices in the halves. In large frying pan, at medium heat- add Beets , red wine vinegar, Liquid Aminos, and all seasonings and herbs. Sautee with olive oil, until all liquids have been soaked through Beets. Usually about 10-25 minutes. Serve Beet Greens- you may need to use a straining spoon, as there should be leftover liquid. Serve Beets & Potatoes, and Waa-Laa! Enjoy friends- I hope you like it! ❤️?